According to the FBI's burglary statistics, there were an astonishing 1,928,465 burglaries across the United States in 2013 alone. That's almost 2 million burglaries in only 365 days! Statistics released by the FBI in 2016 estimated that the rate of property crime was 2,450.7 offenses per 100,000 inhabitants. The only way not to become another one of these millions of burglary statistics, know the facts about property crime, and be aware of what you can do to keep your family safe. Locking all of your doors and windows seems obvious when it comes to keeping your property secure, but a number of people don't take this simple protective measure. Side garage doors, back doors, and open first-floor windows make attractive entry points for would-be thieves. Burglary statistics prove that hollow core or old-fashioned wooden doors are exceptionally easy to kick in, even if they are secured with a lock. Consider replacing your entry doors with steel entry doors to make access more difficult. The sound of a screaming home alarm draws too much attention, and thieves know they will not have time to gain access to your personal property before the police arrive. When trying to choose a home security system, consider going wireless. Alarm systems that use conventional telephone lines are vulnerable to being disarmed by potential burglars prior to them entering the home. 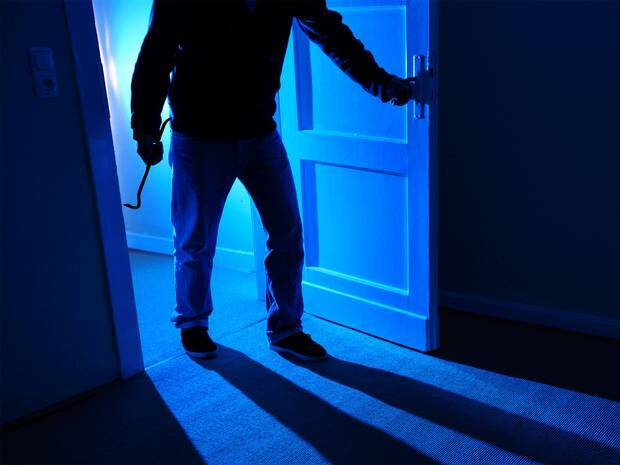 Permanent lighting, motion-sensitive lighting, and visible and/or hidden video camera surveillance all discourage thieves from targeting your home. Burglary statistics prove that burglars return more than once. Knowing a home's layout and where the valuables are kept makes any future burglary easier for the thief. Make note of any suspicious behavior displayed by guests or household contractors, such as accessing unnecessary areas of your home or asking unusual questions about the home's layout. If you have been a victim of a home invasion, you must immediately make improvements to your home's security as many burglars will return. Loss of property combined with legal expenditures can drive the cost of a home invasion upwards of $20,000 per instance. According to FBI's burglary statistics, the average home break-in costs a homeowner $2,322 in lost property. With an astounding $4.5 billion in property losses annually, investing in basic home security measures and alarm system will statistically give you less chance of being burgled, but thefts actually cost more than just the value of the goods. Psychologically, the impact of suffering a home invasion may never be reversed, and sentimental property can never be replaced. There's only one way of avoiding it. Simply put, the harder it is for a would-be thief to gain access to your property, the more likely they are to move on to what they perceive as an easier target. Ensuring you have a solid home security system will ensure you do not become a statistic, and it is sure to save you a more than just money in the future.